Your chance to be a guest at Dracula’s wedding. Fang-tastic fun on a Transylvanian trip. Creeperific! It’s a super-spooky new series from your Monster High ghoulfriends. Amazing stories with diary sections mixed in – for them and you! Read Draculaura’s diary entries to find out what she’s really thinking. Then record your secrets, hopes and screams in your own diary pages too. Wedding bells are ringing for Dracula and his new bride. A stunningly spooky Transylvanian castle makes the perfect setting. 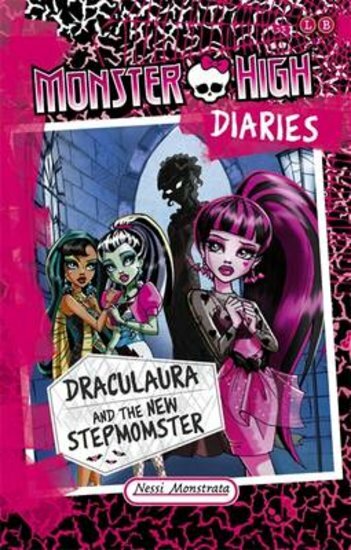 But while Dracula gets a new wife, Draculaura gets a new stepmomster – for better or hearse!